Most window problems are due to old age. That is why most modern products come with advanced materials so you won’t have to deal with these issues. Renewal by Andersen® of Northwest Ohio understands such concerns. Here is a list of problems many double pane windows suffer and how our replacement windows can help you avoid such problems. Drafts can enter your home when your windows have lost their weathertight seal. The usual culprit behind this issue is damaged weatherstripping. Ordinary frames rot over time, losing their effectiveness as well. Some windows that have such issues are a waste of money to repair. 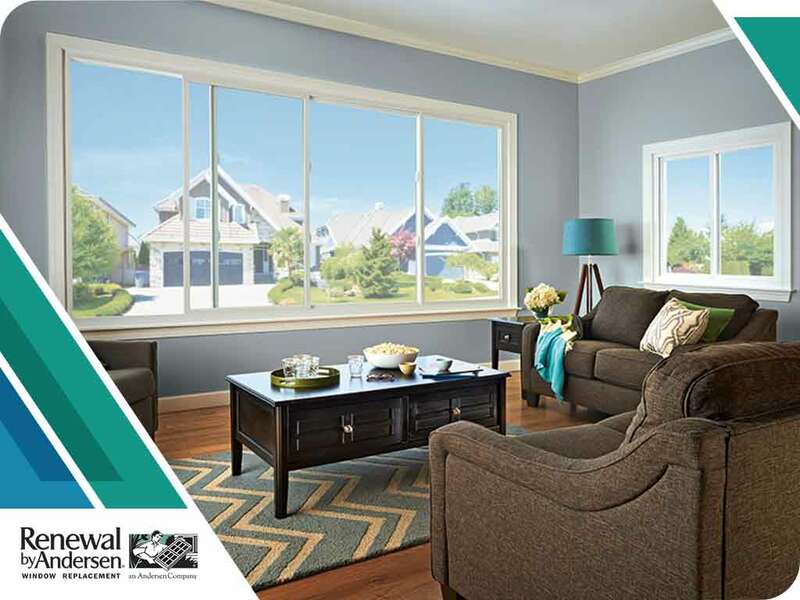 At Renewal by Andersen® of Northwest Ohio, we ensure our windows will keep their weathertight seal for a far longer time than most other options you have out there. Our frames are made of our exclusive Fibrex® material, which expands and contracts very little even when temperatures fluctuate. Fibrex is a combination of wood fibers and polymers, so it has the best properties of wood and vinyl minus the common concerns associated with those materials. Most window condensation is harmless, but the case is different when the sweating happens in between the glass panes of your double-pane windows. The infiltration of water vapor indicates seal failure. That usually means your double-pane window is no longer an effective heat barrier. Our windows hardly ever suffer the same fate. We use specialized sealants on our glass for better adhesion. With the superior strength of stainless steel, our spacers won’t move and break the seal. They don’t emit a chemical fog, which is common when plastic spacers are used. When your old windows don’t open or close properly and effortlessly, it’s a sign that you need to get new ones. This is especially true when double-hung units are in question. Older models usually have a balance problem with the mechanism that holds the panel secure when open. Damaged windows can be hazard in any home. To ensure decades of safe and comfortable operation, we recommend investing in a Renewal by Andersen window replacement. Research and testing have proven that our windows maintain their smooth operation for up to 20 years and beyond. Based on our long-term durability study, we found out that brutal winters and muggy summers have little effect on the performance of our windows. Say goodbye to the most common problems associated with double-pane windows. Call us now at (419) 931-6087, or send us a message.